Before shopping for a home,you should have an idea of how much you can afford to spend. With a prequalification, you can get an initial estimate of the mortgage amount a lender will loan you. The prequalification process gives you an amount you are likely to be approved for if you were to apply for a loan. This is an initial step in the mortgage transaction that benefits you as a borrower. Getting prequalified is a simple and quick process, and can even be done over the phone. Your loan officer will require information about your basic finances, such as debt, income, and assets. After running these numbers and evaluating them, he/she can tell you an amount you may qualify to borrow. 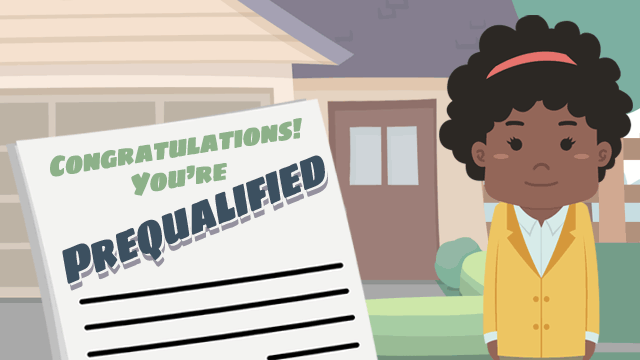 The prequalification does not include pulling you credit report, and there is a lot of more information needed to actually approve you for a loan. This is where prequalification differs from pre-approval. When you apply for a pre-approval, the lender will look at your credit scores, and state whether or not you might be approved for a certain type of mortgage, whereas the prequalification only gives you an idea of the loan amount.